In Part 1 of this series, we dove into general mobile and app usage patterns for teenagers. This was followed by Part 2 which looked specifically into mobile music consumption and how teens are sharing and discovering music nowadays. This brings us to our third and final post where we are going to look specifically at the area of ‘social’. This area has gone through some pretty major changes in the past 2–3 years, with the concept of a ‘social network’ taking on a completely new (and pretty negative) meaning for our digital natives. Read on to find out what motivations and goals are driving teens to shape their online, ‘social’ world and hear some of our future predictions based on our findings. As mentioned in Part 1, there have been some excellent commentaries on what social platforms are most popular amongst certain teenagers (like these posts by Andrew Watts). Although we do mention some of the more popular social apps amongst our group of teens, Roisin and I wanted to take a step back and focus on why these apps were popular and what value propositions they offered (that other social apps didn’t!). Our goal with this part of the study was therefore straight-forward— in monitoring social mobile behaviours we felt we could unlock the underlying psychology behind some of the most addictive patterns found on mobile. Discovering these truths was highly rewarding and has helped us think about how to cater to this target market when developing Soundwave. If there was any doubt or ambiguity surrounding the theory that Facebook is on the way out for teens then our research definitely cleared it right up: Facebook, as we know it, is dead as an active platform for our group of teens. Our participants consistently referred to it as the ‘old’ Facebook and although the majority of them still had it downloaded on their phone, the only time they ever used it was to passively view their timeline when bored. This passive consumption is also increasingly leaning towards video viewing (which is backed up by the fact that Facebook has seen over 1B video views per day since June of last year). With attention spans shortening , features like auto-play when scrolling seemed to resonate with our teens. This consumption was obviously quick and easy but there were multiple references to the newsfeed becoming just another incarnation ofVine — a window full of short videos. We discuss some of the negative consequences of this for Facebook in our ‘Takeaways’ below. Our participants clearly knew the difference between organic and sponsored posts. Surprisingly, they often preferred sponsored posts if the videos were relevant or entertaining (eg LAD Bible for the teenage guys). 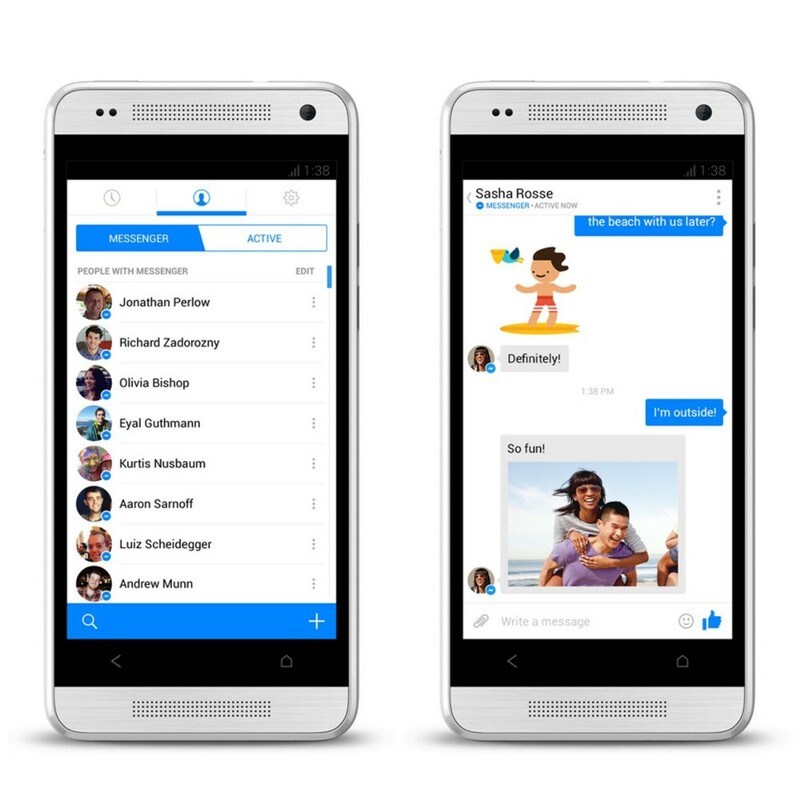 If the newsfeed is the ‘old’ Facebook ,then the ‘new’ Facebook is very much Facebook Messenger. They see it as a separate platform to the ‘old’ platform that allows them to chat and share content. Although there were plenty of rumblings about the forced transition to the Messenger app, this was a critical move by Facebook. The king is dead, long live the king. Some other interesting observations came about by reference to other popular social apps. Snapchat for example was still hugely popular amongst our interviewees. It had gone viral around two years ago (summer of 2012) and they started using it when their friends joined. Usage has started to drop though and the novelty has worn off somewhat. Recently Jordan Crook, in her excellent TechCrunch post points out that Snapchat is now a messenger, a social network and a media network all in one. The core value prop is still very much about messaging between friends but a good few of our teens were now using some of the other features likeDiscover and Stories as much as the messenger functionality and as Crook mentions, Snapchat seem to be putting more stock into their broadcasting capabilities. It will be interesting to see how this progresses. Our teens were also obsessive about counting their top 3 friends (the ‘Best Friends’ feature) ­and they will actively bump off people that they don’t want in their top 3. (Update: there was a huge backlash to this feature being removed recently and gamification must be something that Snapchat’s CEO Evan Spiegel obviously recognises as hugely important in the products future roadmap. Roisin will cover this topic in a separate post soon). Twitter is a really interesting use case and was not used by many of teens that we spoke with. In short, it’s a niche enough platform for ‘early adopters’ or those who follow specific celebrities or thought leaders (1D, fashion bloggers, footballers etc). Although many had tried it, they just simply didn’t get what the core reason was to continue using it and the service was often viewed as just another platform that created further pressure of coming up with original content. Those that were using Twitter were doing so quite passively and they didn’t socialise on it very often with their friends. It was quite a siloed user journey where they would check in on their celebrities now and again. The size and openness of the service was also something that seemed to cause concern with our teenagers. Tumblr was also kind of similar to Twitter in that there was a lot of mindshare and awareness but only a few were actively using it. Those who were using it were usually addicted and loved the platform. It was also interesting to note that Tumblr also didn’t tie into their social graph and they typically engaged only with people in the Tumblr community. They seemed to enjoy expressing themselves outside of the prying eyes of their friends. Overall, there was a general fatigue with social networks. The upside of keeping in touch with friends was outweighed by the downside of the related social pressure of constantly trying to be original and cool. There were clear negative connotations of maintaining an online presence. Ultimately, there is a certain amount of effort required in tending to your online profile ­and this is exacerbated by the pressure to get likes, followers. For this reason, our teens seemed to prefer closed, non-findable ephemeral networks (as identified in Mary Meeker’s annual report on internet trends). As covered in Part 1, our teens were obsessed with pictures and visual consumption (and creation) is generally easier. Instagram was still very much in vogue for our participants. It should be noted that there are different approaches to consuming and sharing pictures. Our groups typically uploaded full albums to Facebook whereas they spend time curating single pictures on Instagram. There was a noticeable hesitation with posting on Vine for fear of social backlash in making a video. Context is everything to teens and they are aware of what is acceptable, and where, more than ever before. A perfect example by one of our participants, “You couldn’t upload a picture of some beautiful sunset onto Facebook, you would literally get attacked with the slagging! But put it up on Instagram and the more sensitive and ‘deep’ you make the post the better. It doesn’t make sense but that’s just the way it is”. Teens naturally navigate different social dynamics depending on the environment, there is no one size fits all anymore. What matters is not the app or platform itself but the context in which it’s situated amongst a particular group of youths. There is also a huge anxiety about posting content on social networks that get no love. They will delete posts if they don’t hit their target of likes (usually 100+ on Facebook, >11 on Instagram). On Instagram, once you get more than ten likes, rather than having a list of names of the people who liked the post it changes to number format with a cute, little heart icon beside it. They are OBSESSED with getting at least 11 likes! The post is seen as a failure otherwise. They have no hangups in hacking the system to get likes. For example, they will use popular Instagram hashtags for gaining likes and will then remove hashtags so it looks like the post was organic. If they take a picture of their friends at a concert, they’ll use the most common hashtages (#live, #concert, #totsamazeballs etc) in order to get strangers to like their picture and will then hide the evidence. If they come across a product by themselves, they­ expect friends to be on it when they go to use it and will follow them. If they don’t find their friends easily, they will be less interested in following strangers unless there is some obvious value straight away. If ‘old’ Facebook is used for passive consumption only and active messengers are used for communication, any external sharing should be directed to private one-to-one services like Messenger or WhatsApp. Apps like Dubsmash have copped on to this trend quite early by piggy backing off the most popular ways of sharing content. Dropping ‘old’ Facebook and Twitter external shares would make very little difference to reach amongst this demographic. The more visual the content you use the better. Where possible, replace text with images. This is especially important with onboarding and when using sad path messaging and parachutes to bring a user into an app. It’s also why Bebo’s new app with their louder than life avatars is gaining popularity again with our teens. A picture truly does speak a thousand words. If video is becoming the best way of catering to an ADD like generation of digital natives (which Facebook seems to be doing) it’s worth thinking about how this might upset the established 90–9–1 rule of internet culture. It seems like only brands and companies have the budget and social currency to make videos (eg the 10% who make up the creators and curators). Teens are not willing to take the gamble on their social lives by posting videos (yet). Facebook have obviously seen this through their engagement metrics and are taking much stricter approaches to promotional page posts on their newsfeed. Metcalfe’s law on network effects is relevant here as it states that the value of a network is proportional to the square of the number of users of that network. What we’ve noticed though is that there is a huge discrepancy between active and passive users and the the so called ‘value’ affixed to a network based on this distinction. By way of analogy, if you have 10,000 people marching for marriage equality in Ireland and nobody opens their mouth or moves an inch, this is a lot less effective than a tight knit group of 1,000 active demonstrators who bring Dublin to a standstill. From our research, we believe that network effects are no longer directly proportional to the existence of users in a network but to the existence of active users who contribute to that network. Our teens clearly put a premium on smaller networks like Snapchat over larger networks like the ‘old’ Facebook. One is an open, indexable passive platform deeply rooted in the social constructs of the Information Age. The other is a closed, ephemeral active network that sums up the new social dynamic of the connected Innovation Age. Teens want to control their online persona first and foremost ­so never force them to share anything publicly. No amount of perceived value obviates this need for control (as described in relation to auto-sharing of music listening habits in Part 2 of this series). App developers should consider making an app more private at first with the ability to open this up as a teen gets more comfortable on it. Having the option is a big positive. The same logic applies to strangers­ — they have no interest in following strangers in the first few sessions ­so don’t show any strangers at the start as this will put them off (conversely they don’t mind gaining followers who they don’t know). Generic content is ok for first time users but they won’t see real value until their friends join the app —ahhhh the joys of the chicken and egg syndrome! For this reason apps like Secret and YikYak are gaining in traction amongst teens. Anonymity allows app developers to provide value without requiring an existing social network. Apps like Cyber Dust go one step further with their completely trace free messaging protocols. If teens do decide to share content, they want recognition for that (and they want it quickly!). Dopamine addiction is like the sugar addiction of the last century. App developers should think about how they can give them the same feeling as getting 100 likes with one action. It would also be wise to steer clear of negative actions (eg thumbs down or rejection). Shots have applied this approach successfully. ­ Try to reduce the social anxiety at any point that you can in the app. That brings us to the now infamous ‘Selfie’. In a nutshell, the enormous popularity of taking selfies is best understood by the ability to retain control of what the end picture looks like. Of the ‘open’ networks, Instagram seem to have found the right balance when it comes to posting. It doesn’t seem as open a network (as Twitter for example), it’s easy to create and curate content and there is less social stigma attached generally to the posting of a picture. In short, if you can understand the user journey on Instagram, you can understand why they are the most popular social networking app amongst teenagers in the world today. Adults and parents think that teens are addicted to their mobile devices and gadgetry in general. We’ve learnt that teens aren’t addicted to tech per se but are just compelled by friendship which tech enables. This is ultimately why they’ll text each other in the same room or get ‘distracted’ when watching TV with their phone. The addiction is not usually to the internet itself but to staying connected with their friends through various online interactions. As this book by Danah Boydexplains, although the media for hosting these online interactions keeps changing, the behavioural psychology around privacy, connectivity and sharing is pretty similar. By looking at underlying habits instead of outputs, developers can build rewarding products that will continue to inspire the next generations. Thanks for reading — if you liked this post, please recommend it ☺. If you’d like to hear more about this, I’m going to be on a panel at the Voxburner Youth Marketing Strategy event in London on 10–11 March and would love to see you there. This was first posted here.